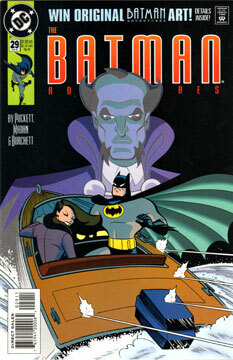 The opening panel finds batman and Alfred stunned to learn that Ra’s al Ghul has gone missing. The next page jumps to Talia learning her father was last seen in the country of Macao. She is determined to find her father, alone. Back in Gotham, Bruce ponders any possible future with Talia as he prepares to leave for Nepal to track down the missing “Tesla device.” Once there, he breaks up a group of thugs and finds a clue that leads him to Macao. He arrives at a Macao casino in disguise in order to meet the casino owner Yeung. He soon spies Talia attempting to escape the building with the Tesla device. The two of them escape in a speedboat. Talia explains her mission to find her father. Batman reluctantly agrees to help. Next stop is Hong Kong, where they find a man who claims to have seen Ra’s body. This leads them to a fortress in Nepal, previously unknown to both of them. They fight their way into the control room. Talia learns the Tesla device was intended to set off an electro-magnetic field that will devastate much of Earth’s life. To honor her father, she begins to activate the device, to Batman’s surprise. Suddenly, Ra’s appears, explaining his ruse was to avoid Batman’s detection. Before Ra’s can finally activate the machine, Batman destroys it. Batman leaves with tears in Talia’s eyes. What a joy to read! This is one of my favorite issues. Puckett knocked it out of the park this time! This tale packed in more adventure, story, and character than most mainstream comics do in a four-issue arc. It contained all the globetrotting elements of a classic Batman-Ra’s story, while still feeling fresh. (Almost 20 years later, it holds up just fine.) Not mention some genuine emotion between Batman and Talia. As I read this, I was extremely impressed with the art. I thought Parobeck was at the top of his game. Turns out, this issue was guest penciled by Dev Madan. Holy cats! Not only did he match Parobeck’s style flawlessly, he infused the art which an amazing sense of energy! Every panel was kinetic! I can’t recall if we see more of Madan’s work, but I hope so. This would fit in nicely anywhere within BTAS, once Bats and Ra’s meet. Ra’s has a new outfit, and someday I’ll make a Talia figure in BTAS comic colors. There’s a Ghul flunky in green for a few panels, too.